There will come a time wherein the tightness of your bolts and screws is precarious. The last thing you want is your lug nuts falling off your vehicle while you are speeding down the road, right? In addition, fastening them up to the point that it breaks is not a safe practice either. In order to prevent these instances from happening again, you need to invest in a torque wrench. 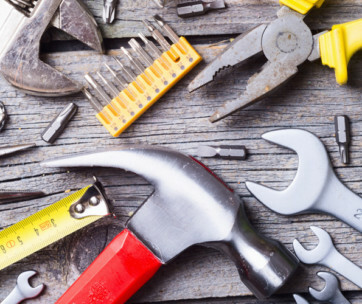 In this article, we are going to discuss everything you need to know about torque wrenches. I will be providing you with the top 10 picks for the best ones available right now, along with each product’s features. To add, we will be talking about what it is, what it is used for, its types and sizes, as well as the factors you need to consider when choosing the best torque wrench. I hope that you will learn valuable information after you have finished reading this article. The TEKTON 24335 is a 1/2-inch drive click torque wrench, which is sized for cars, trucks, as well as lawn and garden equipment. With its dual-range 10-150 feet-pound, it allows you to assertively tighten your vehicle’s fasteners to accurate specifications. 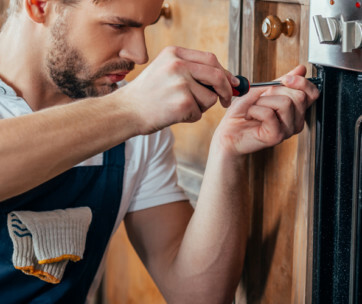 This feature also gives an assurance that the parts are secured properly without incurring any damages. It has already been calibrated with ±4%, which lets you tighten fasteners according to your vehicle’s torque specifications. It also utilizes a technology wherein you will hear and feel a click, an alert that reminds you to stop applying force. In addition, you will be able to read the scale even in low light situations. It is also designed to last years of dependable service through its all-steel construction. Every purchase of the TEKTON already includes the torque wrench, a storage case, and an instructions manual that also comes with a torque conversion chart. This will be one of your favorite tools from your tool bag. The EPAuto torque wrench features a highly durable ratchet head, which is constructed with hardened chrome vanadium steel alloy. It is very easy to store because of the sturdy plastic case included with every purchase of this product. It also a knurled handle that lets you have a solid and non-slip grip when you are using it. Its high contrast and dual range scale is very easy to comprehend while delivering accurate readings. Like the previous product, the EPAuto torque wrench has already been pre-calibrated to ±4%. It is also corrosion-resistant because of its satin finish. You might find this torque wrench simple to use, as well as reliable, as you will hear and feel a click that will alert you to stop applying force. Make sure you always keep it handy in your tool box. The Capri Tools torque wrench’s components are all crafted with automatic CNC machinery, which provides consistently accurate torque. It is also already pre-calibrated to a ±3% CW and ±5% CCW accuracy. You might find this product as reliable as all the other products in this list because all of the Capri Tools units were tested and proven to maintain their preciseness and accuracy for at least 10,000 cycles while at full torque capacity. You will also hear or feel a click once your desired torque setting has been reached. This technology is vital, as continued application of force might result to over-tightening, as well as snapping of the bolt. You might also find the engraved dual torque scale markings very useful. In addition, it is a 1/4-inch drive that has a torque range of about 20-150 in-pounds (2.8-16.4 Newton meters). Hang it on your tool belt and get that work done! 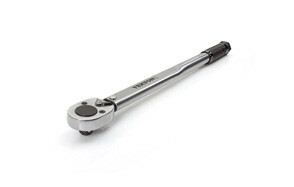 Another great product on this list is the Precision Instruments Split-Beam Click Wrench. It will be able to overcome most of the problems associated with micrometer-style wrenches, especially in abusive environments. While this product have fewer components, rest assured that all the critical components were welded altogether during assembly. You will also find it convenient that you will never have to test this product with a C-series torque wrench if you are using it for the first time. In addition, it is also unnecessary to adjust this device to the lowest torque setting after every use. Setting this torque wrench up only requires fingertip force, as the mechanism for the adjustment is not under load. In terms of accuracy, the Precision Instruments torque wrench has already been pre-calibrated to ±4% clockwise. Lastly, the brand offers 1-year warranty. Be sure to also check out our list of the best screwdriver sets for more great items like this. The Pittsburgh Pro torque wrench is equipped with a heavy-duty cam and pawl mechanism, along with a reversible 1/2-inch drive click stop, making this product one of the go-to-tools whenever you need a precise torque for your bolts. This click stop torque wrench is specifically designed to provide torque range of 20-150 feet-pounds while offering pre-calibrated accuracy of ±4%. This device is 18 inches long and it weighs about 4.1 pounds. You may contact the manufacturer to know more about the warranty information. Our handy guide to the best torque screwdrivers features more great products like this. The Neiko Pro torque wrench features an adjustable 1/2 –inch drive, which includes a wide range of torque settings that will be used in fastening and tightening bolts on small engines. You might feel secured about this product as it has been tested and pre-calibrated to ±4%. It also features an embossed and highly convenient steel handle in which you can just dial in the torque settings. This torque wrench is 25 inches long, constructed with head-treated chrome vanadium steel for durability. It also provides low and high torque settings due to these rare settings that range from 50-250 foot-pounds. To add, it provides accurate and precise readings, both in foot-pounds and in Newton-meters. It is also a reversible torque wrench, being able to provide forward and inverse lock settings. As with all the other products on this list, you will hear or feel a click once the desired torque settings has been reached. Overall, this product will be able to prevent potential damages to parts and fasteners, which is caused by over-tightening especially during assembly. Love this product? 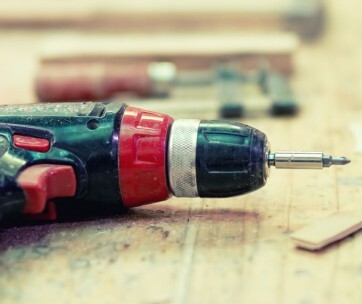 Check out our review of the best cordless drills for our top picks. The first digital torque wrench on this list is the ACDelco torque wrench; complete with an easy to read LCD display. The display that comes in inches-pound, Newton-meters, and kg-cm readings will be able to help you get the job done with accuracy. The brand has added the quick release feature to save time, as well as the reversible ratchet for outstanding efficient. It also offers a non-slip grip, which will allow you to use this device as easy, safe, and comfortable as possible. The ACDelco torque wrench runs on 3 AAA batteries that makes it one of the most lightweight torque wrenches available in the market right now. It is noteworthy that it has three standard settings: torque, measurement, and mode. Unlike the click sound featured in other products on this list, you will hear a buzzer once the desired torque is reached. Lastly, the brand boasts that all of their products were inspected for accuracy, the reason why they are offering 1-year warranty. Find more great products like this by checking out our guide to the top cordless impact wrenches. Every product of TACKLIFE, including the 3/8-inch torque wrench has passed calibration according to international standards, making it a reliable torque wrench. It has been pre-calibrated to ±4%, which allows you to apply accurate amount of torque specified by the manufacturer. It is easy to use, as you only need to set and lock the range using an adjustable ring. This feature will prevent over and under-tightening, in which you will hear a click sound once the desired amount, has been reached. 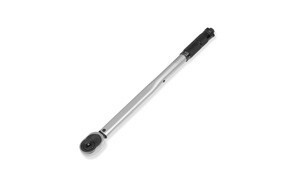 You will also make the most out of this torque wrench due to its all steel construction. Its knurled handle also prevents the device from slipping off your hand. It also features a dual range scale in lbf-ft/Nm that comes in high contrast for a more convenient and accurate reading. Every purchase of the TACKLIFE torque wrench includes an extra 3/8-inch drive to ¼-inch drive reducer, a 3/8-inch to 1/2-inch drive adapter, and a 3/8-inch drive impact socket extension bar. Don’t forget to also check our guide to circular saws for more great tools. The OEMTOOLS torque wrench can be used to apply a certain amount of pressure to tighten or fasten a nut, bolt, or screw. It is also interesting to know that it is ideal for uncontrolled wrenching, just as long as the torque does not go beyond its maximum capacity. This torque wrench has a reading range of 10-10,000 feet/pound. You will also hear an audible click when the desired torque level has been reached, making sure that you do not go beyond the limit. It is also reversible, as it can operate both in clockwise and counterclockwise directions. Lastly, durability is ensured because of its high-grade spring steel construction. If you are a passionate DIYer, make sure you also check our wire strippers review. The Gorilla Automotive may be a lesser-known brand but it surely makes up for the performance you are expecting in a torque wrench. This product comes with a wide range of lug wrench adaptors, which enables aftermarket lug nuts use. It also boasts durability with its chrome vanadium steel construction. When not in use, you may place the torque wrench inside a high impact plastic case that also makes it resistant from rust. You may use the dial torque selector that you will locate on the vase of the handle in order to adjust torque levels. In addition, Gorilla Automotive TW605 features a 5-inch extension bar, allowing you to fit it in small sockets. Our guide to best bolt cutters offers more handy tools you may like. Q: What Is A Torque Wrench And What Is It Used For? A: If you are not yet familiar, a torque wrench is a tool that will allow you to accurately and appropriately tighten a fastener to a specific torque. You might think that this is just a normal wrench but a closer look might change your mind about it. Torque wrenches are generally bigger when it comes to size. While they can also be used to loosen bolts, they are specifically designed to tighten bolts to a certain level of tightness. In simple terms, torque is what you call the tightening force. Going beyond the limit of tightness will cause damage to the fasteners, as well as the mating parts. To add, using too little of torque will only cause the bolt to shear off. The reason why torque wrenches are considered as vital safety items is that without them, it may potentially result in a catastrophic and dangerous failure. A torque wrench allows you tighten a fastener with accuracy to a specific torque level. Generally, you only need one and you swap out sockets, which matches the bolt size. They come in various types but the normal ones are found and used mostly in the automotive industry. Q: What Are The Types Of Torque Wrenches? A: There are three types of torque wrenches that you need to familiarize yourself with; as not all of them suit the job you are using it for. It is vital that you review these carefully, as it will definitely help you in narrowing down your options when choosing the best torque wrench. Click-type torque wrench – Considered a clone of the socket wrench, you only need to preset the torque level using just a clutch. Once the desired level of torque has been acquired, the clutch will slip to indicate the reading. This type of torque wrench has the ability of avoiding over-stretching and over-reaching, which may result to breaking. Electronic torque wrench – Electronic ones are programmable, where you can set the torque levels accurately. You will find a strain gauge linked to a rod, which in turn will send a signal to a transducer. Ultimately, this would mean that you would be able to set the torque level per unit before you apply it. In addition, it comes with a chip containing a memory stick that saves records for future use. 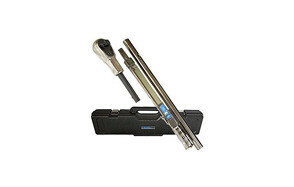 Beam torque wrench – The beam torque wrench is the most basic and simple type of the three. It features a handle separated from the lever arm. To add, this type of wrench is bendable because of the elasticity of the lever arm. When you are applying torque, the scale will give you a reading in real time. Q: What Are The Different Sizes Of Torque Wrenches? 1/4 –inch drive – This drive is used for exceptionally small nuts and bolts. A suitable range for automotive work is around 50 to 250 inch-pounds. 3/8-inch drive – Suitable range for automotive work is about 15 to 75 foot-pounds. Most of the nuts and bolts found in light trucks and automobiles can be adjusted to a desired torque level using this size. 1/2-inch drive – You will need this size for jobs such as engine mounts, suspension, as well as transmission mounts. A suitable range for automotive work is 30 to 350 foot-pounds. 3/4 –inch drive – The 3/4-inch drive is generally reserved for applications such as center-lug wheels. Q: What Are The Factors You Need To Consider When Choosing The Best Torque Wrench? Warranty – A manufacturer that is comfortable about the quality of their products usually offer their customers warranty. In addition, the warranty is already built into the price of the torque wrench you are purchasing, which is why some are priced differently than the others. You may contact the manufacturer if you have any concerns about the warranty. Grip – When looking for the best wrench, look for one that allows an easy and comfortable grip. This component will come in handy especially if you already have your hands covered in oils and engine fluids. If your torque wrench is slippery, it may become a very frustrating inconvenience. Material – The best torque wrench should have a solid and durable construction. Having a fine finish might also help in keeping the tool from getting rust. Almost all of the products presented above do have an all-steel construction, which in itself, is already highly durable. Ratcheting – Your torque wrench being able to be operated both clockwise and counterclockwise is a huge convenience, especially for fasteners that has both left-hand and right-hand threads. Scale Visibility – The top picks presented above offer either a mechanical twist handle setting, as well as a digital reading. In any case, you should be able to read and set the torque wrench easily, whichever product you may end up buying. Now that you have all the information that you might need, it is now entirely up to you to choose the best torque wrench available on the market right now. Deciding on what to buy can seem a little tricky but with the help of this guide, narrowing down your options should be an easier task. In order to make an informed decision, you just have to evaluate the reviews and the buying guide questions carefully. One last thing, compare the price with the features for you to determine if the product offers great value for the money you pay.